Let’s make one thing clear from the start here: there are a lot of major airports in the UK. Considering the distance between major cities is relatively small, it doesn’t seem necessary for there to be quite so many. Maybe it is because the UK is an easy first stop this side of the ocean for transatlantic flights or maybe there are just a heck of a lot of Brits eager to fly anywhere south to escape their dreary climate? 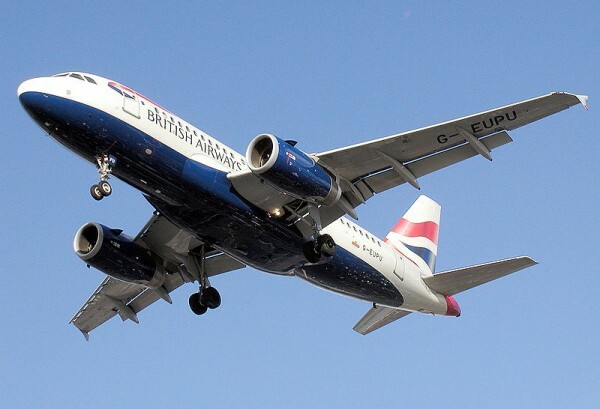 Whatever the case, if you are travelling by air in or out of the UK, a huge selection of airports to choose from means it shouldn’t be difficult to get a bargain fare. Heathrow was London’s first international airport and is still one of the busiest in the world. In 2010 it was the busiest in Europe for passenger traffic. Even without the controversial third runway (which is currently cancelled for the moment) the airport still serves around 180 destinations in over 90 countries. Heathrow airport is approximately 14 miles from the centre of London and is extremely well connected by public transportation. Trains will be more convenient but buses are considerably cheaper. There is also a National Express service from the bus station at Terminal 1 that can deliver you to just about any destination in the UK for a very reasonable price. London is also served by Stansted, Gatwick, Luton and City airports. Gatwick is about 25 miles south of London and is the London’s second busiest airport after Heathrow. Stansted is approximately 30 miles north east of the city, Luton is 35 miles to the north. These airports are dominated by budget and charter flights so are definitely worth searching when you are looking for airfare. Stansted in particular is the UK hub for the low-cost airline Ryanair which serves around 100 destinations. Luton is the home of EasyJet. Budget airlines are a fantastic option for flying around Europe but beware of hidden charges. With over the top prices on refreshments not being enough to subsidize the cheap fares, RyanAir, for example, made headlines when they recently proposed to start charging for passengers to use the in-flight toilets, extra charges for overweight passengers, and asking passengers to carry their own checked-in luggage to the gate themselves. As of the time of writing, none of these have been implemented but it shows to what lengths some airlines will go to try and squeeze a bit more cash out of you. Manchester, Birmingham, Leeds, Cardiff and Edinburg are only a few amongst many cities that have international airports in the UK. Not every “international” airport will be able to get you far, but most will at least get you across the channel. With many of the smaller airports being far more competitive in their charges for gate fees to the airlines, it is not unusual to find very competitive travel fares from local airports and they shouldn’t be discounted or left out of your searches. Most, but not all, of these airports will be connected to the main train and bus routes, however it is important to check before you travel. In searching for good airfares, the internet is the way to go. Vayama.com, accessible through the Vagabond Travel website (at the top of the sidebar), will give you great comparison prices across a large range of airlines. It’s a fantastic tool if you know where and when you want to go. If you are in an adventurous mood and happy to let fate assist you in your travels, then go to the website for Martin Lewis, aka The Money Saving Expert, and try the Budget Airline Flight Checker. This is a tool that allows you to not only enter approximate dates but gives you a “I’ll Go Anywhere!” box to tick that will bring up all the cheapest flights between those dates. While it doesn’t include the large carriers, it does include a good selection of budget and charter airlines. Before the days of the internet, the UK had teletext. Well, actually they still have teletext but by and large it is being supplanted by the internet as mobile web devices become more popular, but back to the point… Teletext is/was a way of communicating information through the TV. Mainly used for news , sports, weather, TV listings and the lottery, it also became a popular way of finding a package holiday as travel companies began advertising their wares on the service. Teletex Holidays has evolved from this service and you’ll still find thousands of package holidays, flight only deals and accommodation on the site. Both package holidays that include accommodation and flight only deals will be discounted here, especially if you are willing to travel at the last minute. Many operators will ask you to ring, and be careful of extra fees and taxes that might not be represented in the original price but there are still lots of bargains to be had here. Cheap flights can be found to England from NYC or other hubs in the USD. A good way to fly to Europe is to take a flight to London from the USA and then take a flight on a budget airline to where you want to go in Europe.